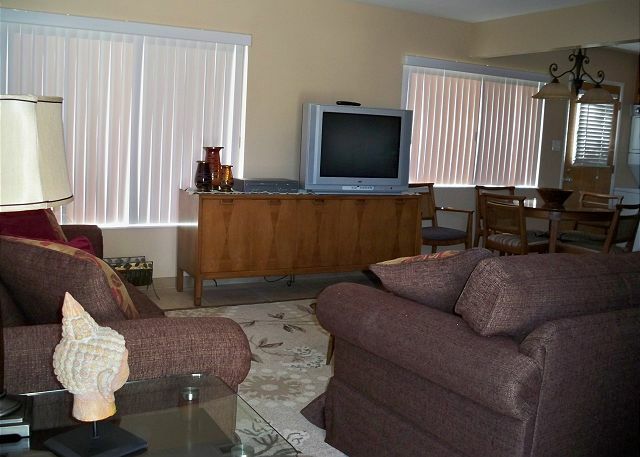 Duplex For Rent is 2 bedrooms, 1 bath unit that is just three blocks from the beach. Amenities Include: Queen size bed in each room. Washer and Dryer. Kitchen that is fully equipped and includes a dishwasher. TV/VCR with basic cable, and a stereo. Dining Table that seats four. Single car garage. Sleeps 4 THIS PROPERTY DOES NOT HAVE AIR CONDITIONING. "We had a very good experience overall with the condo we rented in Pismo Beach from Coastal Vacation Rentals. The place was in a great location, very clean, well equipped and ready for us when we arrived. The Rental staff was accommodating and easy to deal with. We have no complaints regarding our stay and have reserved a place to stay next year." 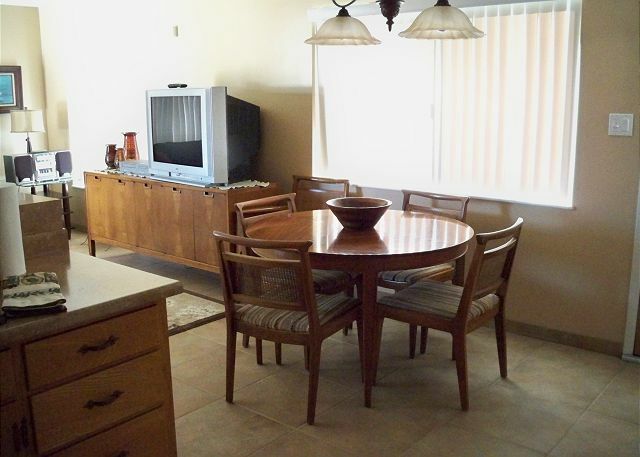 "We have enjoyed this same rental place for several years. We have everything we need there. TV's, washer & dryer, kitchen items, bedding and towels. All you need to bring is your clothing and food. We enjoyed outdoor patio with BBQ. The only thing I would like to see for next year is a cheese grater. I wanted to make hash brown potatoes. I couldn't find a grater to use. I bought one to take for next year. "This home is in a great location, easy block walk from beach and downtown shops, restaurants, etc. Nice open concept floor plan and appointments, clean, good parking -- had just about everything we needed. Patio was perfect for outside relaxation and dog space. We were very happy with this accommodation, would definitely stay again, and would recommend it to others. Only wish it had handicap bathroom and easier-to-use TV set up." "Had a nice quiet time. Everything is provided for you. Just bring your own food if you plan on cooking. Nothing else is needed. Clean place to stay with lots to see. One thing the battery went low and started beeping at 4:00 in the morning. Other than that it's a very clean place. We enjoyed our stay there for the past 5 years." Furnished with basically everything we needed in a vacation rental. A garage parking space driveway and a separate driveway parking space = two off street parking spots. "We have enjoyed our stay at the same location for several years now. This has worked out perfect every year for our grandchildren. The walk to the beach and to the great famous Splash Cafe. It provides everythink that we need. Very clean and organized a great family vaction spot. It has been the perfect spot for us year after year. We will be back next year. The only one thing I would love to see next year is an ironing board. "We had an amazing time. It felt like home away from home. Very nice location. No parking worries you can walk to everything. Great view of the ocean from the living room window. It has a nice private patio. It's a definite stay for us again. "traveling for work to the left coast has been made great by coastal vacations and there many chooses of digs. this one is another winner. am choosing the next unit back it may be a little quiter. " "Our family stayed here for a week, it was so cute and felt like home. It was a little noisy during the day but very quiet at night. We could see the ocean from the living room window which was nice.We will do this place again. Oh! and loved the patio." "Great overall stay! Even better location!" 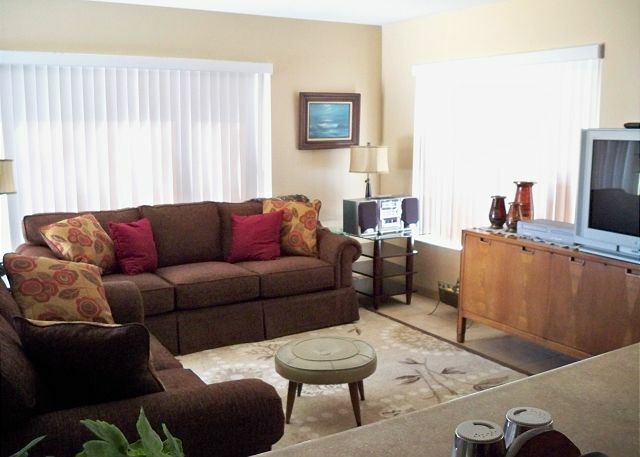 "This condo was very cute, and clean. It had a nice open kitchen and big living area. 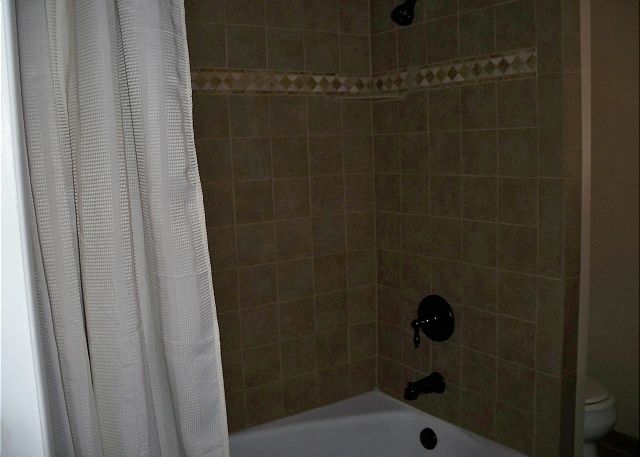 The bedrooms were just the right size and the bathroom looked recently remodeled. Very nice place to stay, and close to the beach." "Our little house was perfect for me and my two children. We walked to the beach, shops and restaurants. It was wonderful that they let us bring our small dog but unfortunately the fence is not secure so we could not let her out back unaccompanied. Otherwise everything was great! It is on a very busy street but the traffic didn't end up bothering us." "Overall was a good experience. " I writing to you to express my concerns about a rental I stayed in, June 16th-19th. Property 321 San Luis, Pismo Beach. 4. No descent pots or pans to use. I have rented many rentals from this company, but never a house like this. I bought all kinds of food to cook/BBQ and had to take it all home. I tried to make my family an egg and all the pans had Teflon coming off. I thought maybe I'll boil all the eggs to make egg sandwiches, no pot to boil them in. I then spent more $ eating out. There was no dish soap to wash my babies bottles. I had to go out and buy dish soap, laundry soap, paper plates, paper cups and paper towels. MORE $. I was very disappointed with this place. If there is anything you can do for the inconvenience, please let me know.